Alexandra Laird is a graduate student in philosophy at the University of Colorado, Boulder, and a research assistant at the Center of the American West. Originally from western Montana, she holds a B.A. 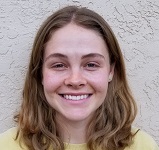 in Humanities from Villanova University and is currently interested in the ethics of wildlife reintroduction, biological species concepts, federal public lands policy, and American legal history.